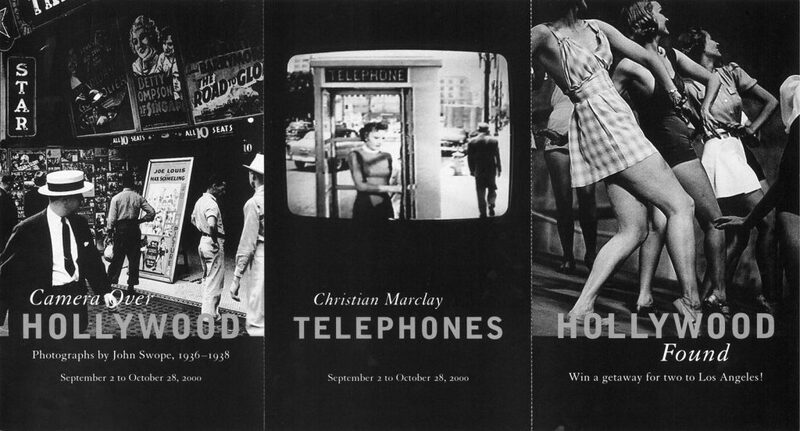 Sixty-three vintage photographs by John Swope (1908 – 1979). Using a Leica and his inside advantage as a close friend and confident of Henry Fonda and Jimmy Stewart, John Swope documented Hollywood not as an idealized landscape but as a working town full of struggle, hope and success – as a town which was in the very real business of creating the unreal “elsewhere”. 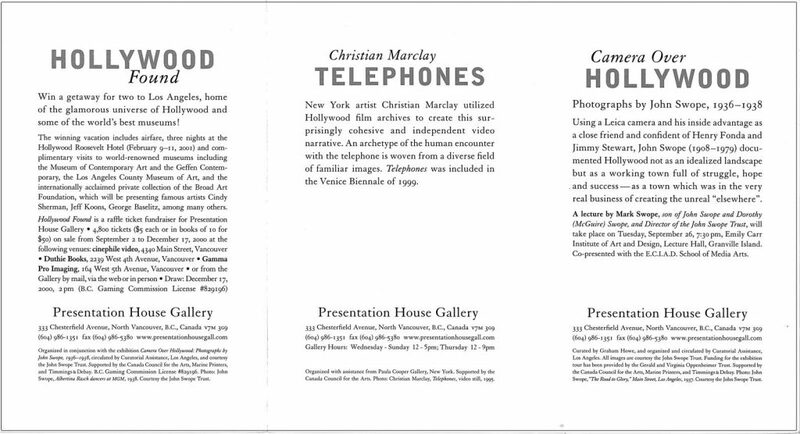 Organized and circulated by Curatorial Assistance, Los Angeles. All images are courtesy the John Swope Trust. Funding for the exhibition tour has been graciously provided by the Gerald and Virginia Oppenheimer Trust. Tuesday September 26, 7:30 pm | Lecture by Mark Swope, son of John Swope and Dorothy (McGuire) Swope, and Director of the John Swope Trust in Los Angeles, Emily Carr Institute of Art and Design. 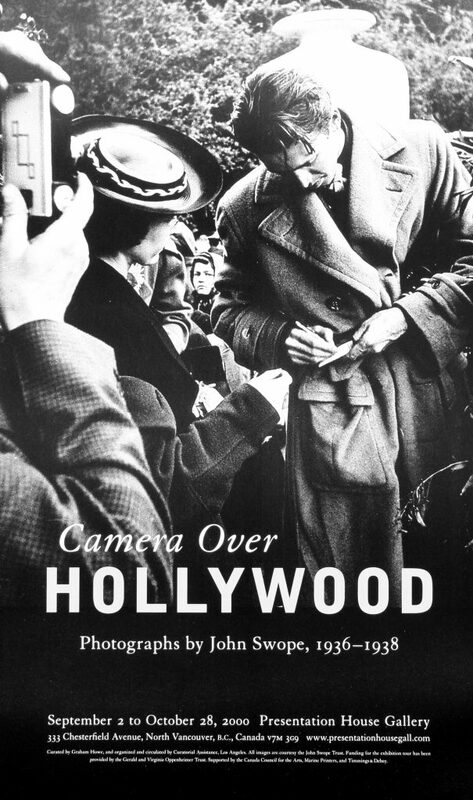 Poster for the exhibition "Camera over Hollywood"